Andhra Pradesh AP EAMCET Online Application 2016. Apply for AP EAMCET 2016 online provided by JNTU Kakinada (JNTUK) online. After very carefully read the full official advertisement of AP EAMCET 2016, you can submit application form via online mode. Aspirants online application form must be filled through on or before last date which is available in official advertisement. If you choose to make payment using Debit / Credit card mode, go through the Instruction booklet / User Guide carefully and be ready with ALL the required mandatory details given below .Mandatory details as above provided. After entering the details above, Click on the " Make Payment " Button and proceed to fill the online application form. During the payment process don't click the Back/Refresh buttons or don't close the browser page abruptly. After successful payment through Debit/Credit Card, a "Transaction Id" is generated and displayed on the screen. 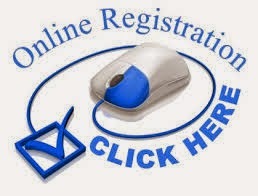 Then proceed to fill the online application by clicking the button "Proceed to fill Online Application Form". Pay the requisite fee and Obtain a receipt for Registration fee paid and ensure that it contains a Transaction Id. Logon to www.apeamcet.org using the "Transaction Id" given above.